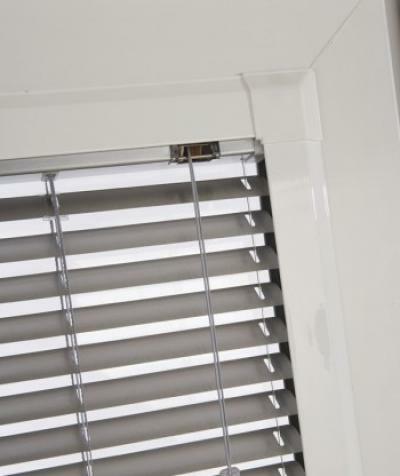 The Abacus Blinds Perfect Fit System for venetian blinds offer revolutionary 'no-drill' window blinds that snap-fit into place to become a seamless part of a UPVC window, door or conservatory. Perfect Fit is a stylish and versatile system that will revolutionise the performance of many types of window blind. As the name implies Perfect Fit enables tensioned pleated and venetian blinds to be installed ‘perfectly‘ onto the majority of upvc windows. The result is simply stunning; great window blinds that will enhance the aesthetics of any room. Designed for use on tilt and turn windows, conservatories, as well as conventional upvc windows or doors. No holes are drilled into your window, which means that the blind can be removed at any time, leaving the window in pristine condition. Enhanced aesthetics and improved privacy is achieved with every blind. 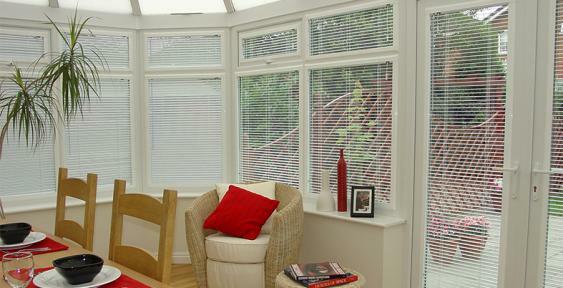 Choose from pleated or 25mm aluminium and 25mm wood slat venetian blinds.